These fun, colorful cupcakes are the perfect mix of pretty pastel flowers, and delicious chocolate cake! 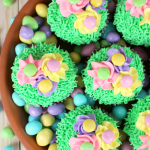 Decorated with green grass frosting and topped with spring pansies adored with milk chocolate M&M’s® Pastel candies, these cupcakes are perfect for Easter or any fun, spring occasion! Do you have special people in your life that love to garden? Are they typically itching at the chance to get outside, dig in the soil and plant their favorite blooms? Both of my grandmothers are avid gardeners. Even though they are both in their 80’s, they still really enjoy getting outdoors as soon as the soil thaws to plant flowers, vegetables, shrubs, and anything that will produce beautiful blooms and foliage. I wanted to put together a great dessert and gift that is perfect for all of those avid growers in your life, like my grandmothers. 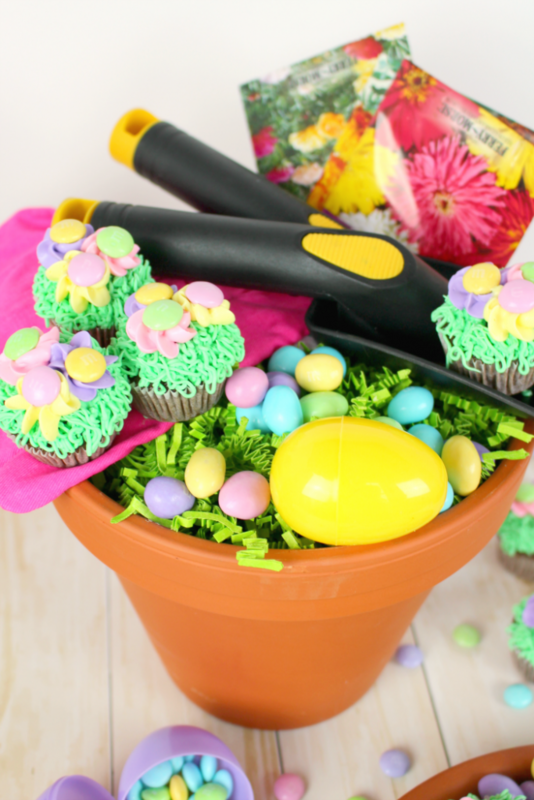 Not only are these Flower Garden Cupcakes the perfect dessert, but when paired with a pretty terra-cotta pot filled with gardening supplies, it becomes a fantastic Mothers Day gift or birthday gift as well! 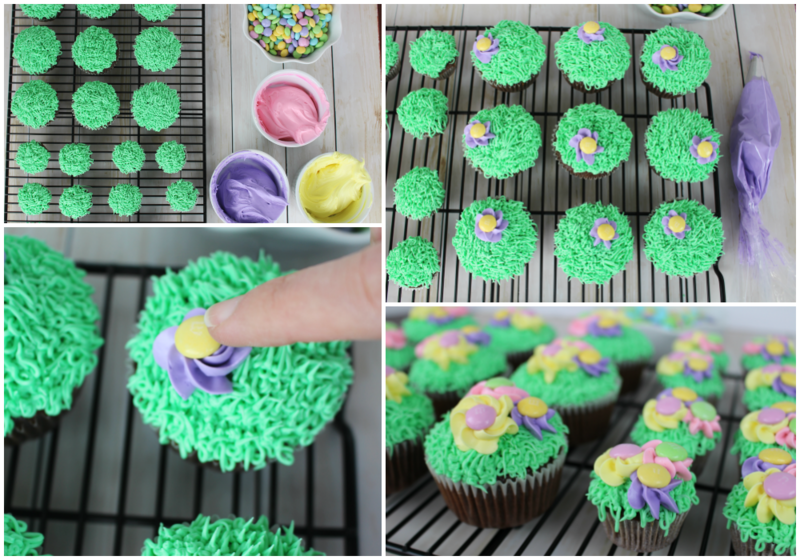 These fun Flower Garden Cupcakes are a fantastic treat for all of your spring flower lovers! 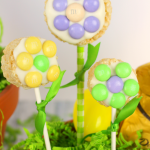 Decorated with pretty pastel milk chocolate M&M’s® Pastel Plain candies as the flower centers, and placed in a terra-cotta pot base along with lots of M&M’s® Pastel Peanut candies make for a stunning spring treat! I stopped by my local Sam’s Club to pick up these big bags of milk chocolate M&M’s® Pastel Plain candies and the M&M’s® Pastel Peanut candies. 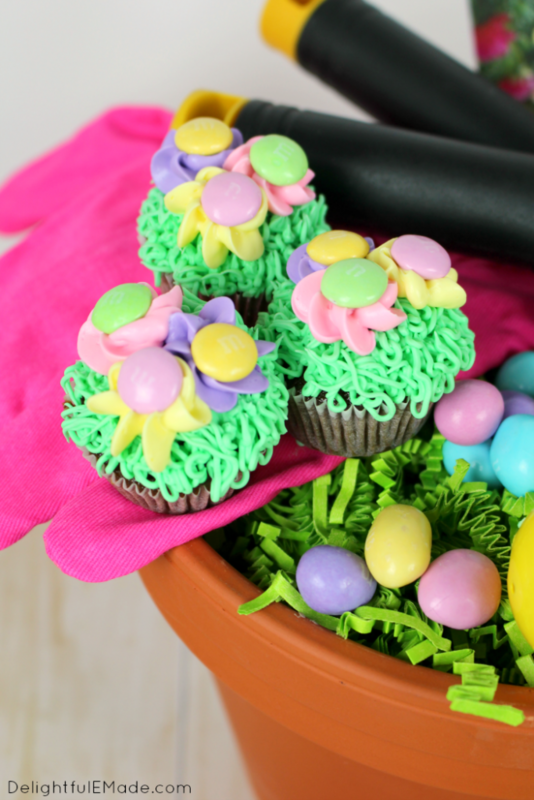 These extra-large bags are perfect for filling Easter baskets, making fun spring crafts, and creating these festive Flower Garden Cupcakes. You can also pick up 52 oz. bags of MARS Spring Mix Minis at Sam’s as well. 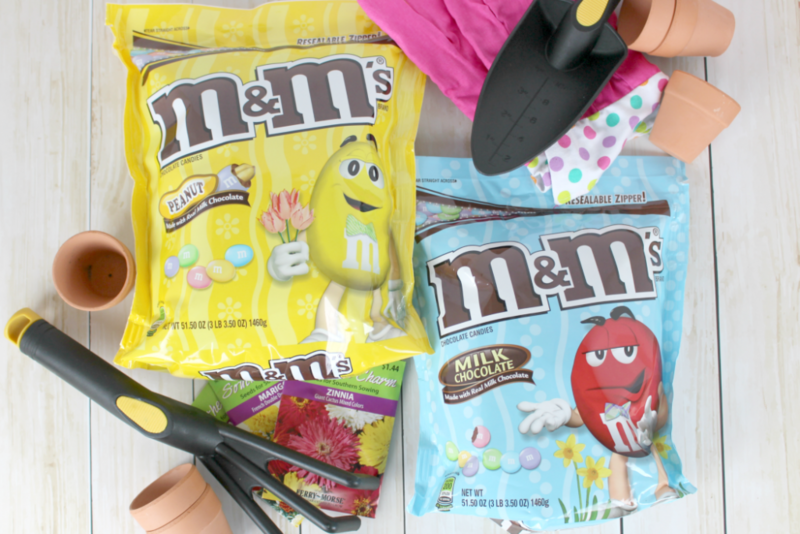 In addition to the M&M’s® Pastel Plain and M&M’s® Pastel Peanut candies, I also picked up some gardening tools, seed packets, and gardening gloves along with terra cotta pots and bases for my Gardeners gift. The pot base actually works as a great platter to hold the cupcakes, too! To honor my grandma Dona, I actually used her Famous Chocolate Cake recipe, for the cupcakes. This chocolate cake is incredible and friends and family ask for it on a regular basis! The chocolate cake always comes out moist and delicious, and makes for fantastic cupcakes and mini-cupcakes. Once the chocolate cupcakes came out of the oven, I let them cool. From here, I mixed my frosting, and divided it into four different colors. Half of the frosting I colored green for the grass. I used a #233 (grass) decorating tip, fitted on a piping bag with the green frosting. 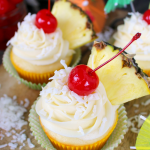 Use a simple “squeeze and pull” technique to get the effect of grass on the cupcakes. Once the grass is complete, you can then color the remaining frosting for the flowers. I chose yellow, pink and purple to mimic the colors of spring pansies, however, you can also go with any other colors you would prefer. I used a larger 2D tip to pipe the purple, pink and yellow flowers. 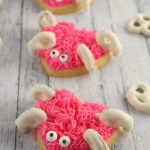 The M&M’s® Pastel Plain candies made for the perfect centers to the flowers – feel free to mix and match the pretty pastel candies with the frosting flowers. From here, I began assembling my Gardener’s Gift basket. I used a medium-sized terra-cotta pot, filled with green paper grass, and added the seed packets, gardening tools, and gloves. 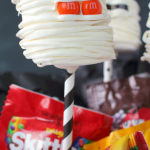 The addition of the mini-cupcakes and extra Peanut M&M’s® Pastel candies adds wonderful color to the pot. If you’re giving this gift as an Easter basket, don’t forget fill some plastic eggs with M&M’s® Pastel candies. The mini-cupcakes really add a nice “floral” touch to the Gardeners gift. Not only is this a great Easter basket idea, but it would be wonderful for Mother’s Day or Earth Day gift and would make a fantastic Teacher Appreciation gift, too! 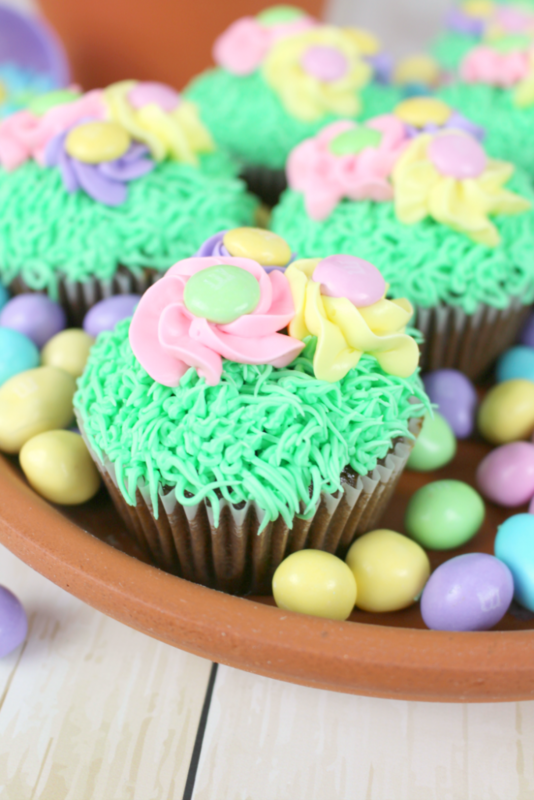 I really loved how the terra-cotta pot base serves not only as a nice platter for the cupcakes, but when filled with the Peanut M&M’s® Pastel candies, it resembles a pretty rock garden. Your garden lovers will absolutely adore the look of these pretty cupcakes! 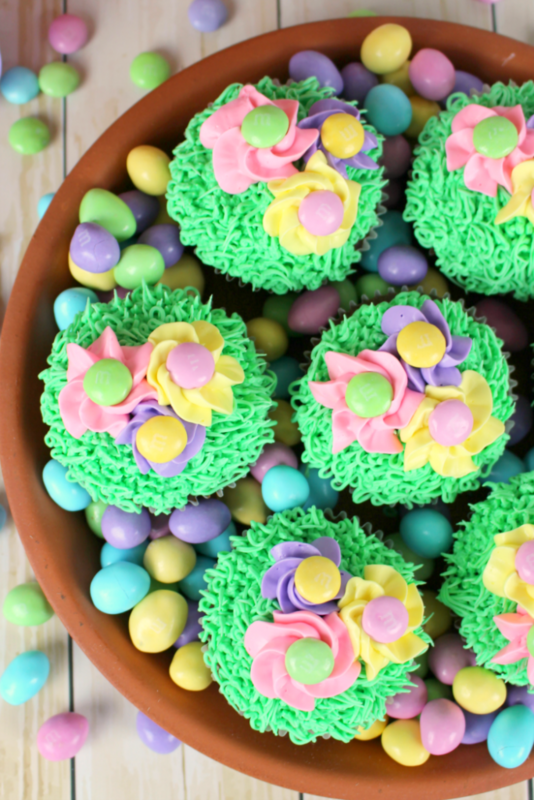 These fun, colorful cupcakes are the perfect mix of pretty pastel flowers, and delicious chocolate cake! 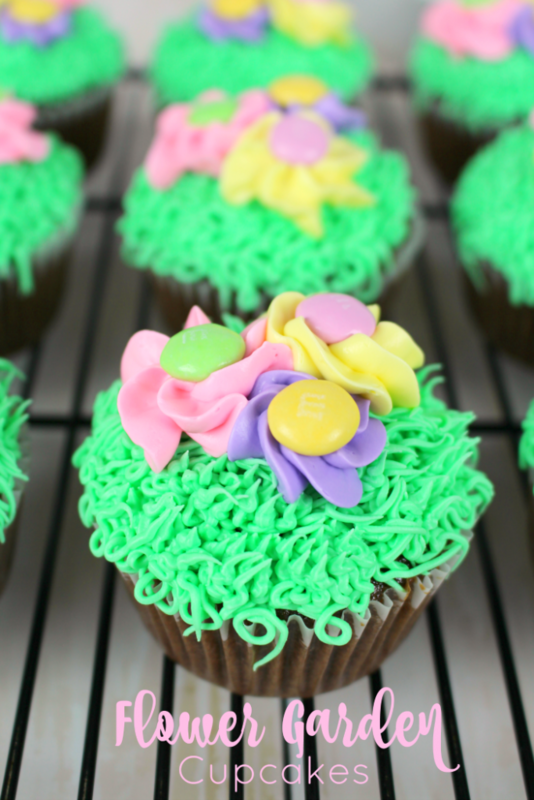 Decorated with green grass frosting and topped with spring pansies adored with milk chocolate M&M's® Pastel candies, these cupcakes are perfect for Easter or any fun, spring occasion! Preheat oven to 350 degrees. Line regular and/or mini cupcake tins with liners. Set aside. In mixing bowl, add flour, sugar and salt together. Set aside. In saucepan, add butter, oil, cocoa, and water and on medium bring to a boil. Remove from heat. Pour hot liquid over dry ingredients and stir until combined. Dissolve baking soda in buttermilk, and add to mixture. Whisk in eggs and vanilla. Pour batter into prepared cupcake tins, about 3/4 full. 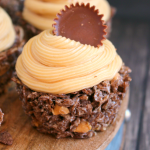 Bake for 22-25 minutes for regular cupcakes, or 15-17 minutes for mini cupcakes. Remove cupcakes from oven and let cool. 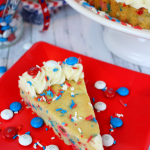 Mix frosting: Using a hand or stand mixer, cream the butter until smooth. Gradually add one cup of powdered sugar at a time, stopping to scrape down sides of the bowl. Alternate with 1 Tbsp of milk. Add vanilla and remaining powdered sugar until reaching a slightly firm consistency. Divide the frosting into separate bowls, about 1/2 of the frosting will be green, the remaining frosting will be colored for the flowers. 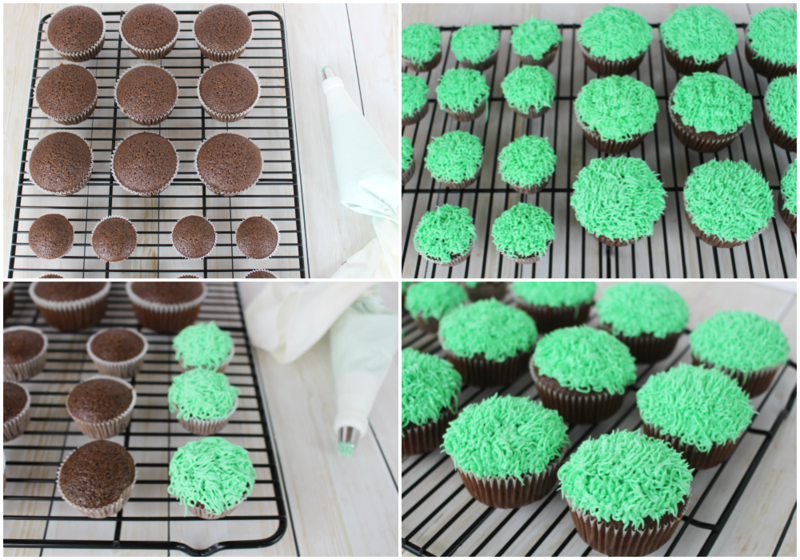 Pipe the top of the cupcakes with a #233 tip to resemble grass. Using a 2D tip, pipe the flowers. 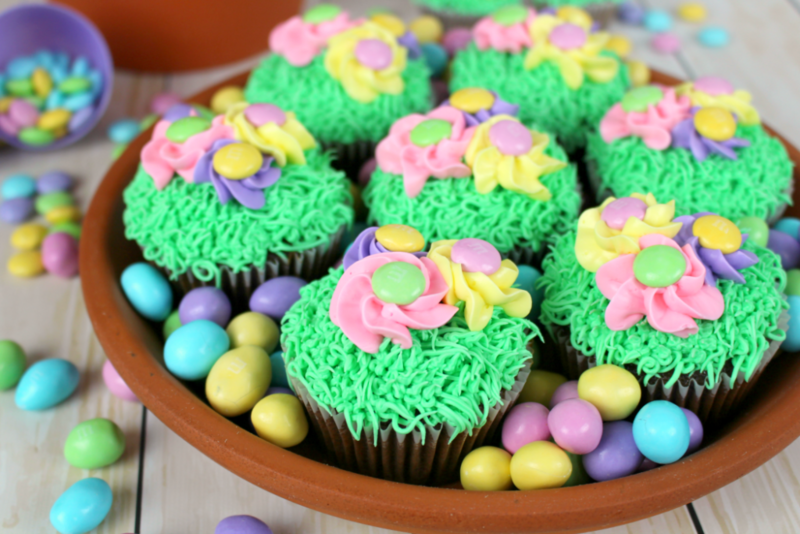 Top the center of the flowers with the Milk Chocolate M&M's® Pastel candies. Enjoy right away. Store in an airtight container at room temperature. 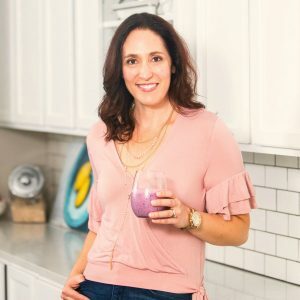 I hope this recipe and gift idea inspires you to to gift the gift of spring, embrace the season, and get outdoors to enjoy all that the sunshine and warm days have to offer. 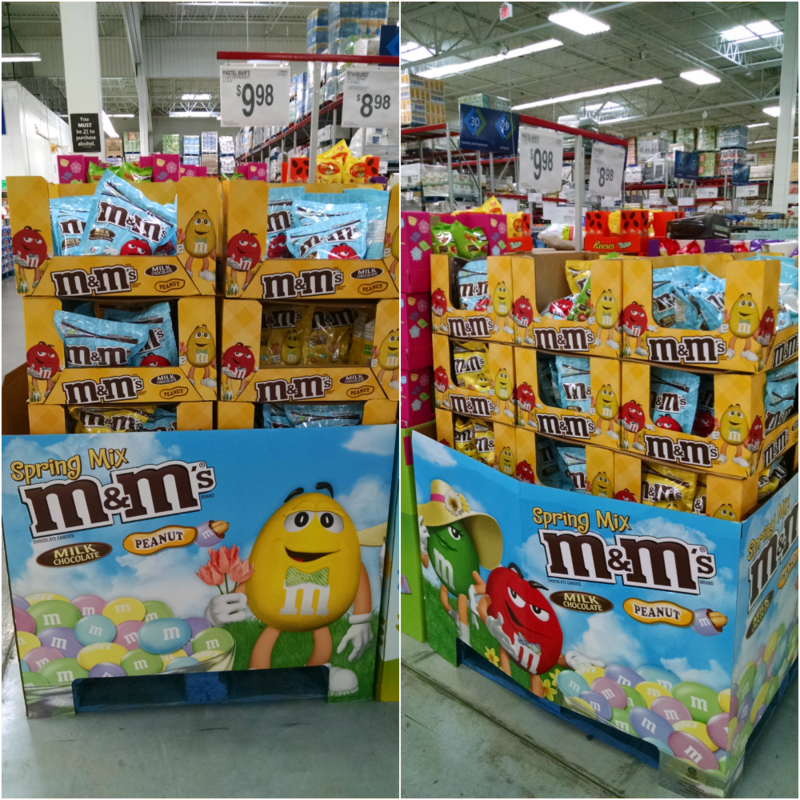 Make sure to pick up some big bags of Milk Chocolate M&M’s®Pastel candies and Peanut M&M’s® Pastel candies at Sam’s Club to celebrate the season!